This month sees some potentially special games come out for the Nintendo Switch. From Wolfenstein II to Lumines Remastered via the arcade sports action of Mario Tennis Aces, the console’s not wanting for attractive offerings. Yet perhaps the most interesting of the month’s new releases is a game that’s actually fairly old, now faithfully revived for the platform. But don’t be fooled into thinking Flashback holds nothing but nostalgic appeal for greying gamers – this pixel-art masterpiece is as compelling today, for newcomers and veterans alike, as it ever was. “We were just trying to make the best games,” says the game’s designer, Paul Cuisset, thinking back to the beginnings of his game development career. A simple mission statement perhaps, and a commonly cited one, too. Clichéd, even, these days – but it came to fruition at Delphine Software in the late 1980s and early 1990s as the studio came to define the parameters of the era’s cinematic adventures. In 1989 came the sci-fi, time-travelling adventure Future Wars, running on the appropriately named, in-house-developed Cinematique engine. It drew rave reviews from the press – as did Delphine’s 1990 follow-up Operation Stealth, a spy-themed affair which released stateside with the James Bond license attached. Both games were overseen in a significant way by Cuisset, but the game that he would come to be truly known for was still a couple of years away. 1991 was a watershed year for Delphine Software. 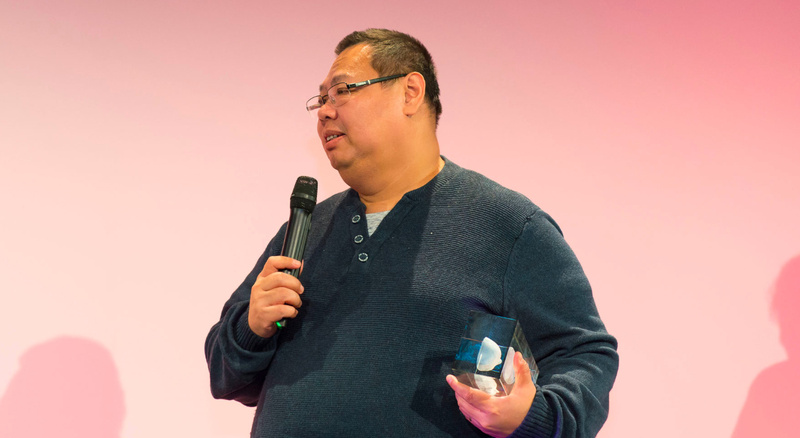 The company had already enjoyed success with its two adventure titles, but now their profile was to skyrocket – and not as a result of Cuisset’s next game. While he steered the narrative-heavy murder-mystery Cruise for a Corpse to completion, for the Amiga and Atari ST, another talent at the studio was finishing up something that broke Delphine’s established style. 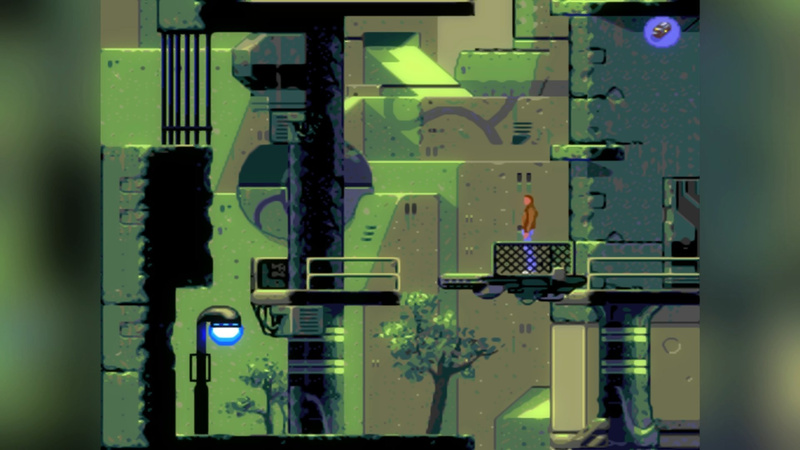 A side-on, exposition-light, platform-puzzler, Another World brought Cuisset’s contemporary Éric Chahi to the gaming world’s attention. 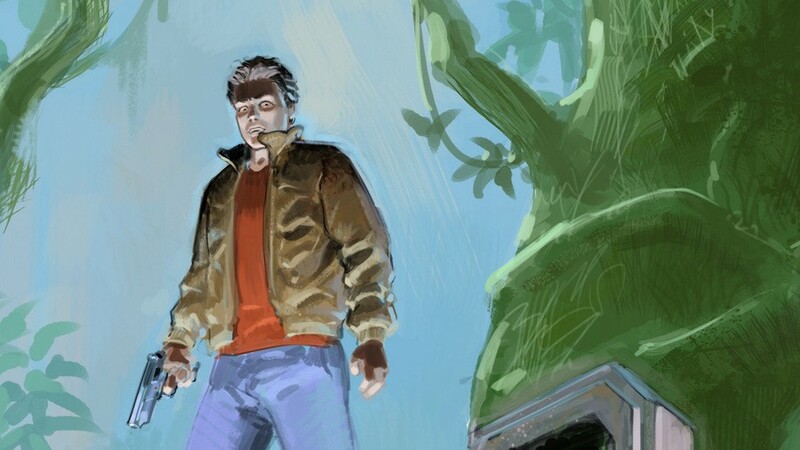 Chahi had been the lead artist on Future Wars, but Another World was his project from the ground up. It shook the foundations of 16-bit gaming, attracting several awards and racing past a million sales. In 2012, it took its place in New York’s Museum of Modern Art, one of only 14 games to do so. It’s been called, among many other things, “visionary”, “an experience every gamer should have”, and “the best video game of all time”. Suffice to say, Delphine had suddenly gone from something of a cult developer to playing in the biggest leagues of the industry. “When Éric showed Another World to us, it blew us all away,” Cuisset says. “There was no question about what genre of game it was, that it didn’t fit our past games – it was just so beautiful and so great, that it was not possible to pass it up. We didn’t really have a unified direction with the games we would do, at that time. It was more a feeling of whether or not we liked something. What would be cool to do? We wanted to do that next.” And what came next would do for Cuisset what Another World had done for Chahi. You may have heard about the genesis of Flashback before, but it bears repeating for its weirdness. Cuisset’s career high watermark (so far), the game is set in a future of intergalactic travel, alien infiltration, and high-tech cities beneath the surface of Titan. It’s all holocubes and hover-bikes. And yet, when Delphine began planning Flashback, it was because they’d received a request from British games publisher US Gold to adapt a very famous movie. Needless to say, the design of the game very quickly moved away from any obvious associations with Francis Ford Coppola’s 1972 Oscar-winner (a Godfather game did eventually come out, in the form of EA’s 2006 title, to a modestly positive reception). 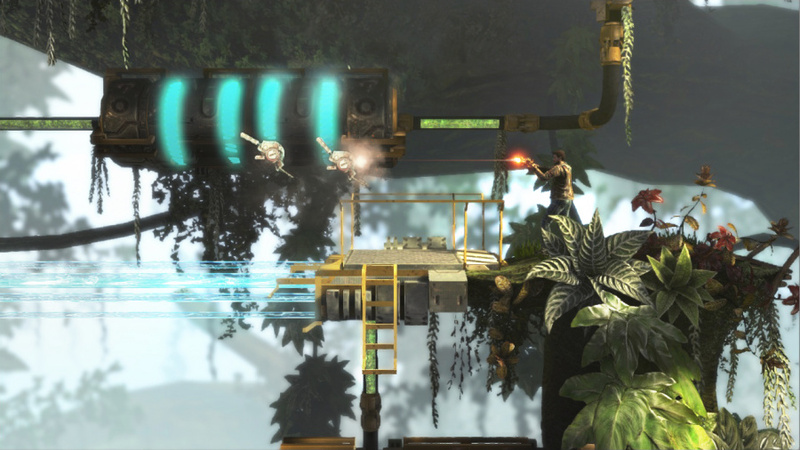 It wasn’t just the initial suggestion of a movie tie-in that was new to Delphine – for the first time, they were tasked with making a game for a console, rather than a home computer. The Mega Drive was, Cuisset admits, “very technical and way beyond our experience”, which saw Delphine take time to adapt to developing for the new platform. “It took us a good year before we really started the project,” he continues, before revealing that even though the machine was powerful for its time, the team ran into their share of obstacles in realising Flashback for Sega’s flagship system. 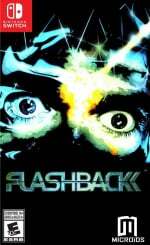 Flashback released for the Mega Drive in 1993, earning terrific acclaim for its gorgeously rotoscoped animation – protagonist Conrad Hart moves with the kind of rare fluidity that only Prince of Persia and Another World had previously delivered – and compelling story of human society slowly being overtaken by an alien menace. It mixed role-play with puzzles, platforming with gunplay, and slick side-on visuals with animated cut scenes that looked spectacular for the hardware. Accolades flowed in, with major publications considering it one of the greatest games of all time. It even scored an entry in the Guinness Book of Records, as the best-selling French-developed video game of all time (at the time). But Sega’s version wasn’t the first to reach the market. That honour goes to the Amiga port, which arrived in 1992 – but Cuisset maintains that Flashback was a Mega Drive game, first and foremost. “The Mega Drive was the target,” he reaffirms. But had it not been, one wonders how different Flashback could have been. “We had to cut some of the game, because we just couldn’t make it fit on a cartridge,” Cuisset continues. “At the beginning, there were some monsters in the (Titan) jungle, that we couldn’t include. There was a… well, not exactly a lion, but a strange creature that would run after Conrad, and you had to flee because it was very fast. But it had too many frames of animation, so we had to cut it. We couldn’t compromise Conrad’s animation, and the number of frames it needed. Nowadays, such trimming wouldn’t be a necessity. “There’s so much power on the Switch,” Cuisset exclaims, rightly excited about Flashback’s imminent return to a Nintendo console, having last been seen on the SNES. “I think it’s a really nice machine. 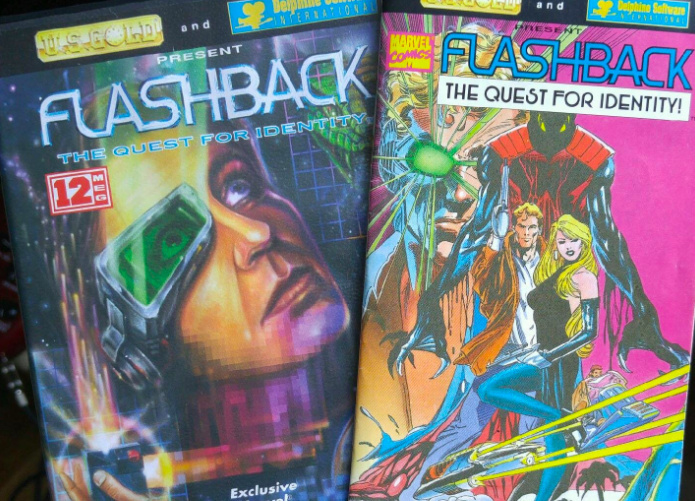 For Flashback, it is so fast, compared to the Mega Drive.” But with power comes, as we’re told, responsibility, or something to that effect – and when he began to move Flashback onto the Switch, Cuisset realised he had to exercise some self-control. 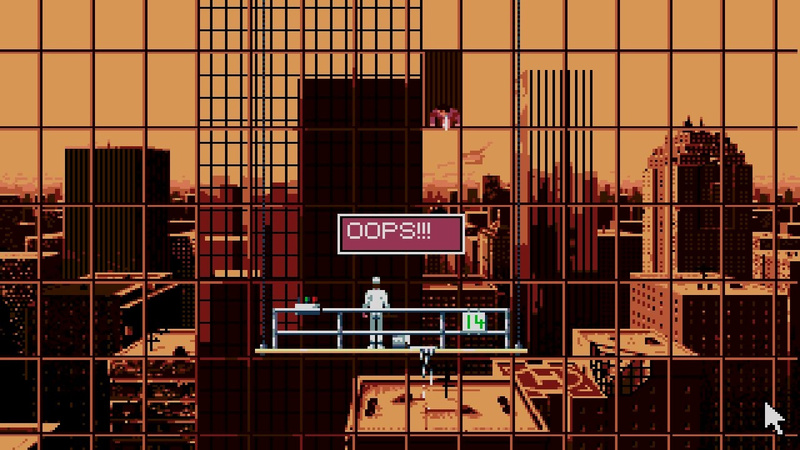 Which means there’s no more despairing as you accidentally roll Conrad off a precipice or fall victim to those pesky alien Morphs – just rewind the game, as much as two minutes, and try again in light of your mistakes. Cuisset explains that just how much you can rewind over the course of a playthrough depends on the difficulty you select – on easy, it’s infinite, and on hard, you’re limited to five minutes’ worth across the entire game. But why is this the 25th anniversary edition, when the Amiga version of Flashback came out 26 years ago? “It’s 25 years since the SNES version, which is why this is the 25th anniversary version, as we’re on Nintendo again,” Cuisset answers, matter-of-factly. “But it’s not really important if it’s 25 or 26 years since the game came out. What matters is that people can play the game again now. And I hope they’ll be satisfied." Flashback is available on the Switch eShop now. The 8 and 16 bit era really liked cover art with mullets. I always confuse Flashback and Another World. 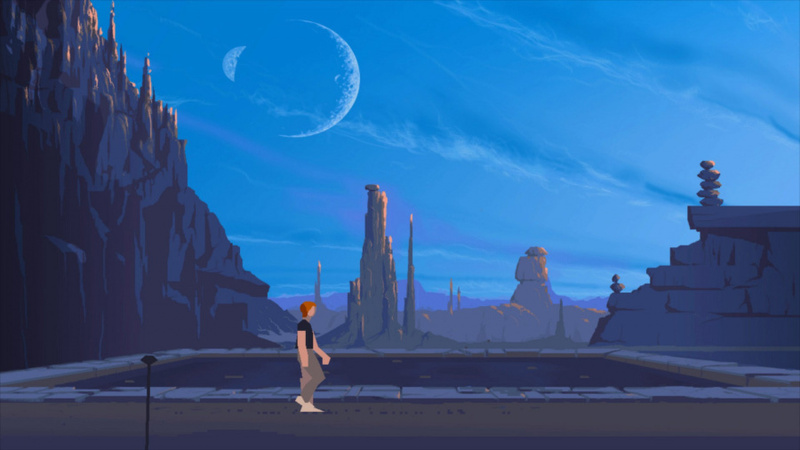 Another World was the game I was always more impressed by in terms of presentation and graphics at the time, mostly the cutscene stuff, but Flashback looks like it was probably the more fun to actually play of the two, and ultimately the levels in Flashback probably look better too in many ways in retrospect. I was blown away by it on the Amiga, back in the day. Till I got stuck (this was pre-Google! ), declared it obviously bugged and never went back! This game is still one of my favourites. The story is gripping - my favourite type of science fiction and the gameplay is incredible. It’s weird cause on Nintendo website it says it was released on June 17th but you can’t purchase it. Then, I just took a look on the eShop and it says July 24th. So I guess it’s not yet widely available? When he says the original game, does he mean original Megadrive Version or original SNES Version? Has anyone downloaded it yet ? I still got Flashback for my Atari Jaguar. Probably one of the best games for it. @gdog The 3DO and Jaguar versions were probably the best back in the day, the Sega CD version was also pretty good. They even made it on CDI if you believe it or not. I preferred the Jaguar version since it didn't have any loading yet it also took advantage of the better sound and graphics that the console provided over the Genesis and SNES. I just downloaded. The options are good, you can have any combination of old or new graphics / CRT scan lines, in combination with old or new sound. This and Out of This World eluded me on the SNES either due to rental time being over, other games to play, etc., and I finally made things right with the 25th Anniversary Out of This World. Now my time for Flashback has come at last. Backlog for now. Is "Out of This World" also coming to Switch?? I have the Flashback collectors edition preordered. Can't wait! Played to original on my Acorn, so the pre-order for the special edition went in as soon as it became available. Supposedly, it has been despatched, but they are using Hermes as a delivery company, so it will probably take a month before i get it, if it has not been lost by now. Edit: Just recevied it, one of the main draws was it came with instruction manual. One problem its too big to fit in the game case. @Gerald Modern graphics option? Did not get that from the article. Will find some vid on YouTube to understand what this really mean. Thanks for bringing it up. I’m happy with this coming to Switch, really enjoyed playing this and Another World back in the days. The company could’ve just port both in a collection or bringing Flashback retro and 2013 into the same game for Switch. I found that phrase a bit unnecessary to say out loud. @Francema when I say Modern Graphics, I don’t mean a face lift with new flashy HD visuals, I meant it just cleans up what would be blocky / pixelated graphics of ‘original’ mode. You can turn on / off each option to your preference. I prefer this is the original character (ambience) of the game remains intact.